Castlevania? Thought that movie project was dead. Apparently not, and apparently Paul W.S. Anderson (Resident Evil, Death Race, Mortal Kombat) is "waiting on a script." Oh, and he'd like to adapt Metal Gear Solid for the silver screen, too. That is according to Jeremy Bolt, who is Anderson's co-producer on Resident Evil: Afterlife. Visiting that film's set, the site ShockTillYouDrop.com says it spoke to Bolt, who "told us this morning that Paul W.S. 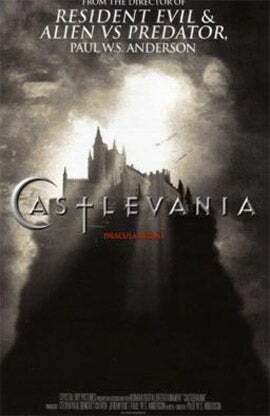 Anderson is still circling video game adaptation Castlevania at Rogue Pictures and that they are waiting on a script." "Bolt added that he and Anderson would like to adapt Konami's Metal Gear Solid for the big screen at Columbia Pictures," ShockTillYouDrop.com added. You can check out Paul W.S. Anderson's filmography here but he ain't no Bergman. Please note that none of this confirms Anderson has anything to do with the Metal Gear project.